I meant to write this much sooner, but I have to say it’s been a busy past few months. In my previous post I wrote about a lot of the thoughts that crossed my mind during my discovery phase. This was a somewhat tedious process that is often forgotten through the project scoping phase and could later cause issues during the execution phase of a project. Microsoft’s SCCM 2012R2 comes with WinPE5.0 by default and due to compatibility issues with Windows XP with that version I have proceeded to utilize WinPE3.1. To get WinPE 3.1’s image imported onto the SCCM2012R2 environment several steps had to be taken to extract the file and import the appropriate drivers before being able to re-import it back into SCCM. 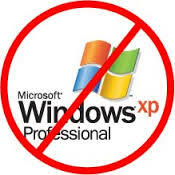 Recently one of my employers tasked me with creating an automated upgrade process for all of the remaining 37,000 Windows XP machines, so they could be automatically upgraded to Windows 7 in under 5 months.